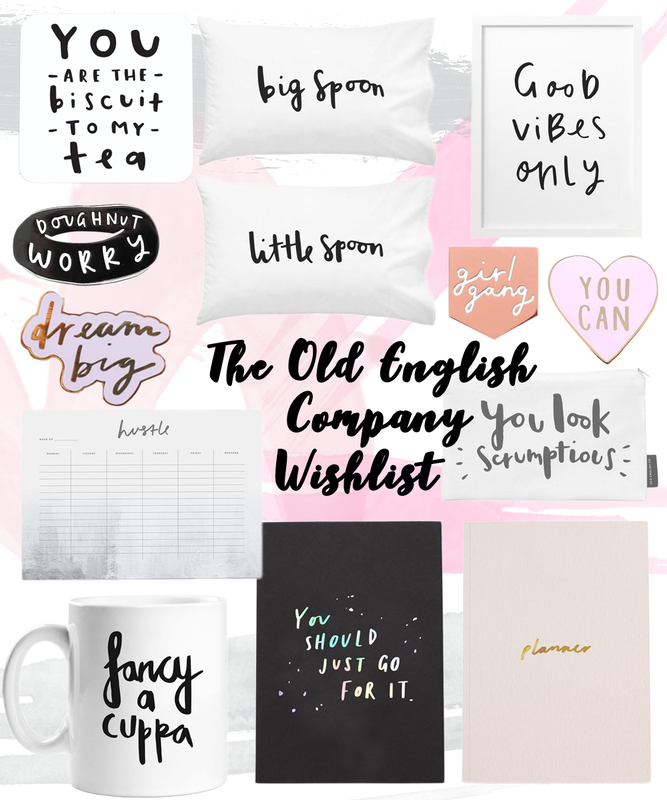 The Old English Company is a brand that I just adore. There’s nothing better than when a company is so up your street it could practically be your own. I’ve always pondered across The Old English Company products on sites like notonthehighstreet.com, but I’ve never before now, sat down and looked at the actual site! Today I’ve put together a little wishlist of all my favourite picks, although, let’s be honest, I’d be happy with pretty much anything from the site. The one thing I really can’t wait to get my hands on is the ‘big spoon’ and ‘little spoon’ pillowcases. I find these just absolutely adorable and would be perfect for me and Jamie. To add to that would have to be the mug and coaster. If you know me you know I’m a total tea-aholic. I’m a tea-over-coffee-girl and can’t start my day without a good old brew!! The Old English Company have the cutest Enamel Pins, I love the motivational Dream Big and You Can pins, perfect to add to my bag and remind me of what a total girl-boss I am! Onto the stationary, and their desk planners are totally a bit of me. If you haven’t heard me rave about my desk planner before in posts like this, and this, where have you been?! This good vibes only print would be the perfect addition to my desk too to keep me motivated – I love my positive quotes! Finally, the planners – both of which would 1. make the perfect blogging photo prop, and 2. would definitely be great for planning all my blog content! If you’re interested in winning your own set of adorbs Enamel Pins, The Old English Company are running a brilliant little competition. You can enter right here! Competition ends 30th May. Have you bought from The Old English Company before? What’s your fave piece? "Bare Minerals BarePRO Liquid Foundation and Concealer Review"
"Things I’ll miss about being a student"